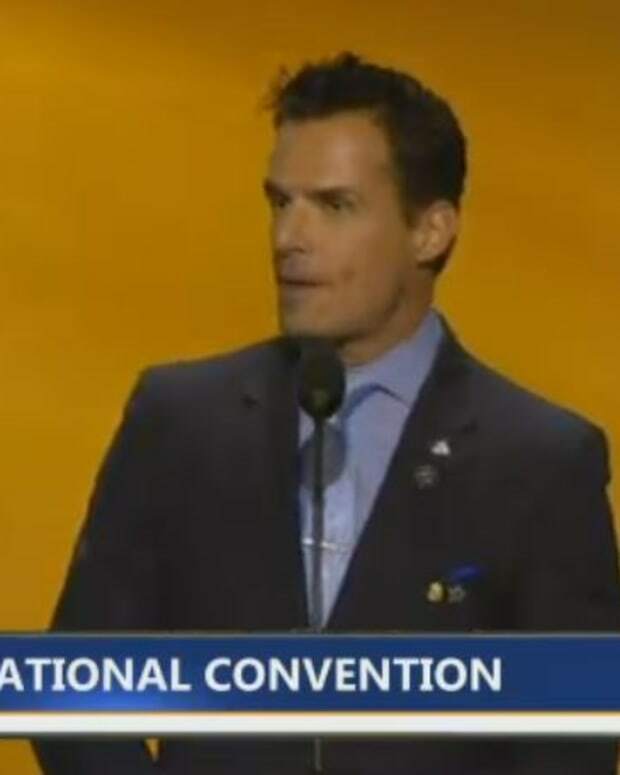 Former General Hospital and The Bold and the Beautiful star Antonio Sabato Jr. took the stage at the Republican National Convention on Monday. In his speech Sabato shared his family history and how he immigrated legally to the United States. He accused President Obama and Hillary Clinton of promoting division while Donald Trump promotes unity. Reaction to Sabato Jr.&apos;s speech was less the flattering. Twitter erupted with zingers and shade. Not all reaction was negative. Some tweeted Breitbart&apos;s coverage. However, it was what Sabator Jr. said during his post-speech press rounds that has the world talking today. At ABC News he asserted President Obama is not a Christian, saying "We had a Muslim president for seven and a half years." The Washington Post&apos;s Chris Cillizza listed Sabato Jr. among the losers from DAY 1 of the GOP convention. Antonio Sabato Jr.: Look, I am all in favor of nontraditional convention speakers. But the underwear model and soap star made zero sense as a convention speaker. He had no special connection to Trump and nothing to say other than Hillary Clinton was bad and Trump was good. I could have lived without it.